When we feel safe we usually feel good about ourselves. We can relax and enjoy life. Feeling safe is about every part of you. It is about feeling respected and understood. It is knowing you are loved, liked and valued for who you are. It is feeling secure and knowing what’s happening in your life. It’s not being hit, insulted, made fun of or humiliated. It’s about others respecting your body, and not hurting or taking advantage of you in a sexual way. It’s about others not making you touch them or look at and watch sexual images. If you need help with your right to be safe, please go to the People and places part of our site. Many children need help to feel safe. Last year, local councils looked into the lives of 185,000 children because there were worries about their safety. Children can feel ashamed, embarrassed or lonely about being hurt. We are sorry about this because a child is never to blame for being hurt. Children who have been hurt have the right to help, so they can feel safe again. All children and young people have the right to feel safe. This has been the law in England since 1889! 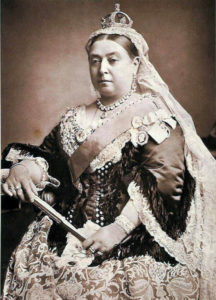 That’s when Queen Victoria was on the throne! Children and Young Persons Act 1933 – this says that child cruelty and neglect are crimes. This law applies in families and other places children live. Children Act 1989 – this says that local councils must help children who are suffering, or have suffered, significant harm. This harm can be linked to your feelings, your thoughts, your body or how you grow and mature. It can affect how you relate to other people. Harm can make children feel very angry and this can affect how they act. The people who care for you should understand this, and help you recover well. Sexual Offences Act 2003 – this says it is a crime for professionals who work with children to have a sexual relationship with them, to touch them sexually or to make them watch sexual things. This crime affects social workers, teachers, children’s homes staff, personal advisers, prison officers, nurses, doctors and others who work with children and young people. Any sexual contact between these professionals and children and young people they work with is a serious abuse of trust. Human Rights Act 1998 – this gives everyone, child and adult, the right to be safe in our body and in our mind. This law means that local councils and others must protect you. This protection should be respectful and it should help you get your needs met as a child or young person. Mental violence – an example of this is being repeatedly told that you are stupid. Physical violence – an example of this is being hit by a parent, a carer or another child. Sexual abuse – an example of this is a parent or a carer touching private areas of your body. Exploitation – an example of this is a person giving you things like a mobile phone or alcohol to pretend they love you, in order to sexually abuse you. Neglect – an example of this is a parent or a carer repeatedly not giving you food. It is your human right to be safe. Every child and young person has the right to feel safe, no matter where you live. If your own behaviour is difficult at times, or you have made others feel unsafe, staff and carers must still help you to feel safe. Staff or carers must never deliberately frighten you or threaten to harm you. Where do children and young people have the right to feel safe? Local councils must protect children’s welfare. Part of looking after your welfare is giving you help if you have been harmed. If people are worried about you suffering significant harm, your local council must look into your situation to see if you need help. A social worker will visit you and ask about your thoughts and feelings. She or he will do this to try and make sure you get the best help possible. The person in charge of your children’s home has a lot of legal rules to follow when it comes to you being protected from harm and staying safe. We think they are incredibly important. So, we tell you about each of them below. Staff look into whether you are at risk of harm. Staff must take action to reduce any risks of harm. Staff help you to understand how to keep safe. Staff are skilled in working out whether children and young people are at risk of harm. Staff help children and young people relate to each other without harming one another. Staff understand their duties to protect children and young people. Staff take good action whenever there is a serious concern about a child or young person’s welfare. Staff know about and follow the home’s rules for protecting children and young people. The care children and young people get in the home keeps them safe and protected. Your children’s home is in an area where children can be properly protected. The design of your home, and its furniture, do not threaten your health. The rules in your home about protecting children and young people are looked at regularly, to check they work well. If you have disability, the person in charge of your home must make sure you have “aids and equipment” so that you can communicate with other people. This right helps protect all of your other rights, including your right to be safe. The NHS Trust that is responsible for the ward or unit you are staying in must do its work with your welfare in mind. Part of looking after your welfare is protecting you and giving you help if you have been harmed. The person in charge of your hospital or unit has to follow a lot of legal rules. These include rules about safe care and treatment and protecting you from abuse. We think they are incredibly important. So, we tell you about each of them below. The health and safety risks of care and treatment have been carefully looked at. Action is taken to reduce any health and safety risks. Staff have the right qualifications, ability, skills and experience to give care and treatment safely. The building where you receive care and treatment is safe. Equipment is safe, and it is used in a safe way. There are enough supplies of equipment and medicines to meet patients’ needs. Medicines are stored and given to patients safely. Staff do all they can to stop infections spreading. There are care plans for each patient, so everyone knows what they are meant to be doing (this applies if you are moving to a different hospital or unit too). Your hospital or unit must have systems in place to make sure patients are not abused. Your hospital or unit must have systems in place to immediately investigate any allegation or evidence of abuse. Be given in a discriminatory way. Involve behaviour which is aimed at controlling or restraining a patient when this is not necessary to prevent a risk of harm, or it is not a fair response to a risk of harm. Be degrading for you or other patients. Ignore your needs, and the needs of other patients. Take away your freedom unless there is legal permission for this. You have the right to be in accommodation that suits your needs as a child. You can probably think of many things that children need – like lots of space to play and enjoy physical activity and opportunities to learn and explore. The place where you are detained must do what’s needed to make sure you are protected, safe and well looked after. Staff who have immigration jobs must do their job with your welfare in mind. They must look after you well. Part of looking after your welfare is protecting you and giving you help if you have been harmed. Staff must especially protect you from trafficking. Trafficking is serious harm linked to immigration. This is where people are treated like slaves. They are forced to come into the country, or moved around, and made to work and/or suffer sexual abuse and other terrible treatment. Children and young people who are trafficked are never to blame for this. The law says you should not get into trouble with the police if you have been forced into committing crimes. Officers in your detention centre must quickly tell their manager and the government about any abuse or mistreatment which they know about. Staff who have immigration jobs must tell the local council whenever there are concerns that you may have been harmed. If there are concerns you may have suffered significant harm, a social worker will visit you and ask about your thoughts and feelings. This is so she or he can try and make sure you get the best help possible. The governor of your young offender institution must carry out his or her work with your welfare in mind. Prison officers are under a legal duty to quickly tell the governor of any abuse or mistreatment. If you are at risk in a prison, or you place others at risk, you or your parents or guardians can request a review. Your lawyer can make this request too. If you are in care and the subject of a Care Order, your social worker can also make a request. A meeting will be held to decide whether you should be moved. Your wishes and feelings will be considered as part of this. You should be offered help from an independent advocate to get your views across. If you are in a secure training centre, the law says the person in charge (the director or governor) must promote and protect your welfare. This means he or she should take action to help keep you safe. To accommodate children and young people in a safe environment. To help children and young people prepare for when they go home. Within 24 hours of arriving at a secure training centre, a social worker and a nurse or a different healthcare person must speak to you. They must check whether there is a risk you may harm yourself. They will write a report. Then throughout your stay at the secure training centre, the social worker and healthcare person will check how you are feeling, and whether there is a risk you may harm yourself. Custody officers are under a legal duty to quickly tell the person running the secure training centre (the director or governor) of any abuse or mistreatment. If you are at risk in a secure training centre, or you place others at risk, you or your parents or guardians can request a review. Your lawyer can request this for you too. If you are in care and the subject of a Care Order, your social worker can also make a request. The law says schools where children live must protect and look after your welfare. The standards say that your school must have a plan for promoting and protecting the welfare of children and young people at the school. Your welfare includes your mental and physical health, your happiness and safety. Your school must have someone who will listen to any worries you have – about your personal life or your school. This person should be easy to contact. They should not be a member of staff or be involved in running your school. You should be given the contact details for helplines and the Children’s Commissioner for England. Your school must follow health and safety laws. It must have a plan for doing this (called a policy). Your school buildings, including where you live, sleep and play or do sports, should be kept to a good standard. Your school must have a plan for how it reduces any risks to children and young people’s welfare. There should be activities for you to do each day, as well as free time every day. There must be safe areas in your school where you can spend time on your own if you want. Your school must assess activities for any risks to children and young people. Activities shouldn’t be so demanding on you that they affect your welfare. If people are worried about you suffering significant harm, your local council must look into your situation to see if you need help. A social worker will visit you and ask about your thoughts and feelings. She or he will do this to try and make sure you get the best help possible. The person in charge of your children’s home has a lot of legal rules to follow when it comes to you being protected from harm and keeping yourself safe. We think they are incredibly important. So, we tell you about each of them below. The design and furniture in your children’s home does not threaten your health. If you have disability, the person in charge of your home must make sure you have “aids and equipment” so that you can communicate with other people. This right helps protect all of your other rights, including to be safe.